We buy movie posters for our archive all the time, from single items to very large collections. We are primarily interested in original movie posters from the 1920’s – 1990’s. If you have posters that you would like to sell we’d love to hear from you. Please contact us with details of the pieces you are interested in selling, including title, year and condition. We are usually unable to commit to purchasing from a single image alone and often require to physically see the collection prior to purchase. 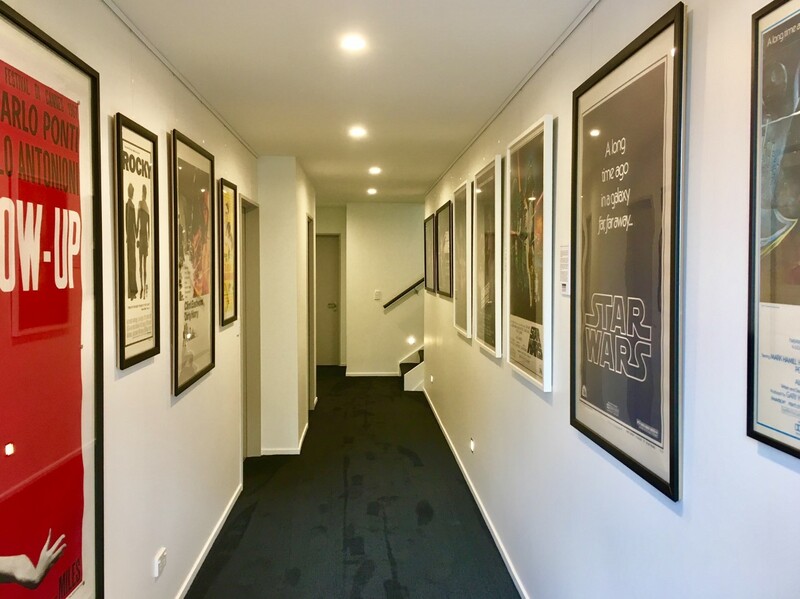 We are regularly asked by clients to appraise the authenticity and current market value of their film posters, whether this be for a single piece or entire collection. These written appraisals are predominantly used for insurance purposes, as should they become damaged, there is always a risk of receiving the replacement value of an inexpensive reprint rather than the true value of your original. We cannot provide appraisals from photographs alone as to confirm the authenticity/condition and replacement value of a poster we must see it with our own eyes. Shipping of posters must be covered both ways by the client. In cases where it is not feasible to ship your poster for an appraisal (e.g. the size of the piece or the collection is extensive) we can carry out ‘on-site’ appraisals, this option is provided on a case by case basis, and our travel expenses must be covered by the client. We charge an appraisal fee of $45 (exclusive of shipping) for a single poster, this figure is obviously reduced when more than one is submitted. Please contact us for further details. To allow commercial customers and designers to see how some of our pieces look in a certain environment, we do offer a ‘show and tell’ service within the central Christchurch area. Please contact us if you would like to utilize this service, either with details of the pieces that you are interested in viewing, or those that you would like us to source on your behalf. We do not carry out this service ourselves, but leave this highly skilled work to the professionals. After employing the services of many backers over the years (overseas and more recently here in New Zealand), we now only trust and therefore recommend the skills of a select few, these being (in no particular order): Vintage Movie Art based in Vancouver, Canada. Studio C based in Vista, California USA. Studio M based in Melbourne, Australia and the Affiche Studio, based in Portland, Oregon USA. All of these backers do wonderful work, with each website showing you a sample of their restoration results and price guides. As you can see from their websites, examples of their work and clean ‘well kept’ studios are an incredible testament to their work ethic and care they will take with your posters. We don’t frame posters ourselves, we also leave that to the professionals. However be aware that there are many ways to frame a poster, some framers will try to convince you to mount your poster to foam board using permanent solvent based glues or tape, or even wish to trim your poster down. DO NOT let them do this as it will permanently destroy the value of your investment. Your poster should sit loosely in the frame and should not be fixed to the backing board in any way. I recommend you seek the services of a framer who specializes in conservation framing and one who uses acid free archival materials, also be sure to request UV light blocking glass or acrylic to guard against sun damage. If you are wishing to purchase a poster purely for display, I would recommend considering a linen backed version, this process would have ensured that the poster has been flattened out and is conservation mounted to linen using water based adhesives. If you are having a linen backed poster mounted do not let your framer trim the linen up to the edge of the poster! linen backing is intended to provide a ‘buffer’ around the posters edge to prevent damage and allow easy handling. Therefore the framer should leave at least a 10 – 15mm buffer in place. We generally prefer to buy posters outright. However, if you have vintage posters valued at $500 or more that you wish to consign rather than sell to us direct (in the hope of reaching a higher sale price), please contact us and we can discuss terms. As per purchasing, we will need to physically see all the items in question to confirm their authenticity and condition prior to commencement of the listing.